Ed Miliband, leader of the Labour party, has called for the introduction of harsher rules governing media ownership, describing News Corporation's power as "not healthy". In a speech today the opposition leader said it was not "healthy" for one media group [News International-owner News Corporation] to have control of nearly 40% of the national newspaper market and effective control of two-thirds of the pay-TV market, through the Sky platform. 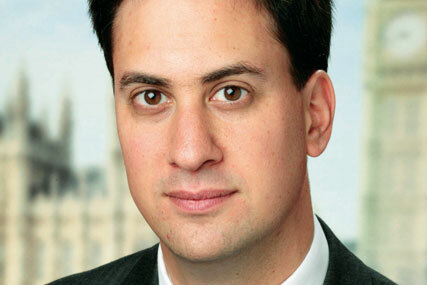 Miliband said: "Politicians should have confronted this earlier. And, let's be honest, the reason we did not was, in part, because News Corporation was so powerful. I do not think that is healthy. "It is not healthy for a country that believes in responsibility all the way to the top of society. It is not healthy for our democracy, where we see too much power in one set of hands. It is not healthy for consumers." Labour intends to submit proposals for new cross media ownership laws to the inquiry launched last week and Miliband urged prime minister David Cameron and deputy prime minister Nick Clegg to join Labour's press for change. Speaking in the City of London Miliband likened the phone hacking controversy to the scandal over MPs' expenses and the banking crisis. He said the problem was "powerful people who answered to nobody". Miliband said: "We should all find the courage to challenge other areas where concentrations of power damage our country." Last week Cameron launched an inquiry into press standards and ethics which is expected to recommend a "new regulatory framework" for the newspaper industry. When questioned about Miliband's comments a spokeswoman for the Department of Culture, Media and Sport said the Government has already asked the inquiry to look into media ownership. Prior to the closure of the Sunday tabloid News of the World last week (the final issue was published on 10 July) News International’s share of the national Sunday newspaper market was 38%. Without News of the World it has dropped to 14.3%. A DCMS spokesperson said: "The Prime Minister has commissioned Lord Leveson to conduct a wide-ranging inquiry into media policy and regulation. DCMS has already begun work on a communications review to feed into legislation during this Parliament. Cross-media ownership and plurality will be considered as part of these reviews." Elsewhere, the Culture, Media and Sport Committee of the House of Commons has confirmed that Rebekah Brooks, chief executive of News International until last week, will give evidence tomorrow despite her arrest and release on bail yesterday. Rupert Murdoch, chairman and chief executive of News Corporation, and James Murdoch, deputy chief operating officer of News Corp and chief executive and chairman of News Corp (international) will appear at 2.30pm. Brooks will be questioned from 3.30pm. Though allegations of phone hacking and police bribery were not new, public and political outrage has escalated since the publication of allegations that the victims of phone hacking included murder victim Milly Dowler on 4 July. On 7 July News Corporation made the shock announcement that it would close the News of the World in response to the crisis and then on 13 July it pulled out of its bid for the 60.9% of BSkyB it does not already own citing the current "climate". In addition to the resignation and then arrest of Brooks, the crisis has led to the resignation of Dow Jones chief executive Les Hinton and the resignation of the commissioner of the Metropolitan Police Sir Paul Stevenson.